This topic contains 4 replies, has 3 voices, and was last updated by Rev. Satya Robyn (temple host) 2 years, 4 months ago. The Bodhi retreat is the main retreat in the calendar of the Amida Order. Bodhi Day is December 8th the day in the East Asian calendar that marks Buddha Shakyamuni’s awakening. The retreat – for those who live in Belgium, France & the Netherlands – is organized by Jnanamati & Vajrapala and hosted by Vajrapala and Daniel’s at their home in Frasnes-lez-Buissenal. Frasnes is located between Ronse, Ath and Lessines, in the Pays des Collines, Hainault, South Beldium. The three-day retreat offers us the opportunity for deepening our practice, to reflect on our spiritual life and to express gratitude to Shakyamuni for the gift he has given us by rediscovering the Buddha-Dharma. Our visions as Buddhists are what inspire us and others to bring the Dharma into the world and into our relationships with other sentient beings. We can see this helping create a field that creates the condition for personal and collective transformation. This is no ordinary commitment to change but rather a revolution in which the love and compassion of the Buddhas can manifest in us. We will explore and discover our personal visions through various practices. This will include chanting nembutsu, silent contemplation, recitation of the Pure Land sutras, personal sharing, walks in nature and making art. The art process can include drawing and painting pictures, writing or other forms of creative activity. This is an invitation for us to find inspiring visions that anticipate or can support what we do in our daily lives. The retreat is designed specifically for Pure Land Buddhists from the Amidist tradition, but Buddhists from other denominations and other spiritual traditions are also welcome. Cost: € 30 per day available to cover catering (macro-biotic vegan food) and accommodation. Donations are requested for the retreat guidance. For overnight stays, we have the use of a neighbours house at the edge of the forest. If you are intending to stay please do bring your own sheets, towels and toiletries. If you are interested in this retreat please contact Vajrapala by no later than the end of November. We are happy to discuss with you in advance if you want to talk through practical arrangements. Yesterday we finished the three-days Bodhi-retreat in Belgium. We really created amazing Purelands in real and imagined. Our sangha did grow in depth and connection. Jnanamati leaded the retreat with a great sense of beauty, wisdom and goodness. We had people off Belgium and the Netherlands: Katrien, Karin, Diederik, Gert, Annetta, Maïtrishima, Jnanamati and myself and we had Véronique a local people who shared some off the services. A deep bow for all who inspired us for this retreat: Dharmavidaya off course, Satya and Kaspa and all the others off the order. Such wonderful news Vajrapala. We were thinking of you all! This is how the sangha deepens and grows…. Thank you for this account Vajrapala. It was a pleasure to again be invited to lead the retreat. This year I invited the group to consider, in general terms, the place of visions in our spiritual life, as well as more specifically relative to the “visions” of Sukhavati that are part of the Pure Land tradition. This lead to some reflection on how we create conditions in which a vision might arise as well as discussions about personal visions that inspire compassionate acts in the world. Shan Tao, the seventh century Chinese sage and Pure Land ancestor was very much present as we explored this material. Shan Tao, the disciple of Tao Cho, had many visions and is particularly remembered for the commentary he wrote on the Contemplation Sutra, or Kuan Wu-Liang-Shou-Fo Ching. This commentary has been translated into English and given the title “Visions of Sukhavati”. Shan Tao’s text was significant in its influence on Honen Shonen and his awakening to the understanding that the verbal nembutsu was for all and recitation – as referred to in the 18th Vow in the Larger Sutra – the primary condition for birth in the Pure Abode, Sukhavati. Shan Tao was also a prolific painter making many images of Amida and the Pure Land. In the space provided by the retreat we recited the Smaller (Amida Kyo) or Shorter Amitabha Sutra and the Larger Amida Sutra, Sukhavativyuha. This formed the basis from which we looked at an discussed inspiring visions. The Mahayana sutra tradition tends towards fantastic imagery, other worldly themes and expansive spiritual landscapes. The Three Pure Land Sutras are very much in this idiom. I talked about these as archetypal creations that were intended to inspire our own visions of the Pure Land rather than as literal descriptions of a pure abode. 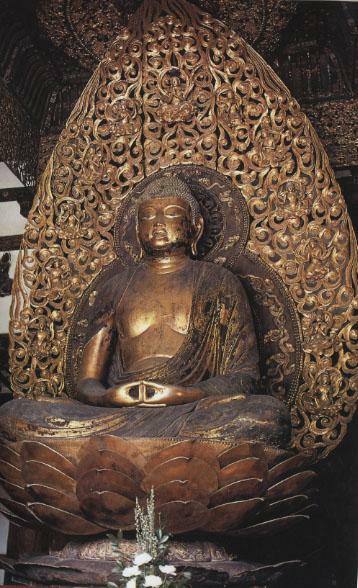 For two people in the group such imagery held little meaning as sources of inspiration for others the sutras enriched the relationship to the Pure Land teaching and simple practice of nembutsu. One thing that one might be said in this context is that the recitation of these sutra’s can be as much an action demonstrating ones gratitude for the place they have in keeping the tradition alive as they are objects of devotion and accounts of the story of Amida’s salvific awakening. 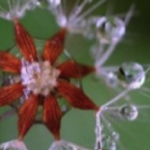 Taking a lead fro the Bodhi retreat in Malvern the proceeding weekend we also engaged in the practice of writing a letter to Amida as a way of tuning into the more personal nature of our relationship with Other Power. On the last morning of the retreat we engaged in art making to explore the experience that Amida gives name to, or Buddha as “one who has come from thusness” – Tath-agata – the Grace that supports our lives. There was much discussion about engaged compassionate activity and the role a retreat plays in supporting our vocation in the world, a world in which needs are great, suffering widespread and the wisdom of Buddhism (and other faith traditions) is often ignored.